Partner Frederik André Bork provides specialist advice on all aspects of EU and Danish competition law. His experience includes merger filings, major abuse cases and several very large and multi-­jurisdictional follow-on damages cases. 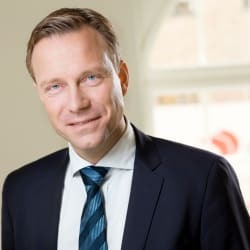 He is former Head of Division at the Danish Competition Authority and has a comprehensive insight into the authorities’ administrative and business procedures.